Everywhere I turn lately, people I love are walking with a little bit of weight in their hearts. Walking wounded pushing on, pursuing God’s promises and seeking His sure mercies in the daily journey of stepping out in faith. 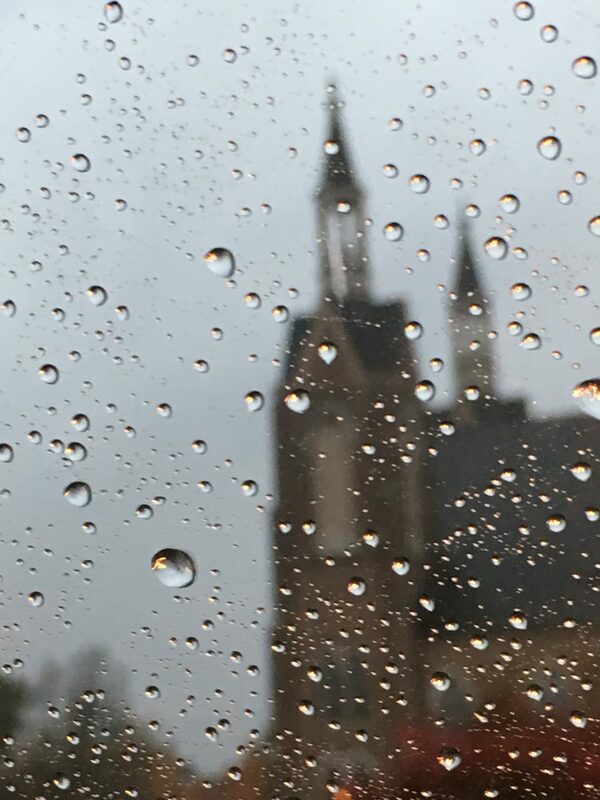 It only takes a moment to stop and see the measure of their pain, it only takes an honest question of wonder that can lift the burdens that we bear… it only takes being seen with eyes of grace to let us into the hard and the difficult place that community is meant to fill together. We have to know the way to walk into each others lives so that we can gather grace together. 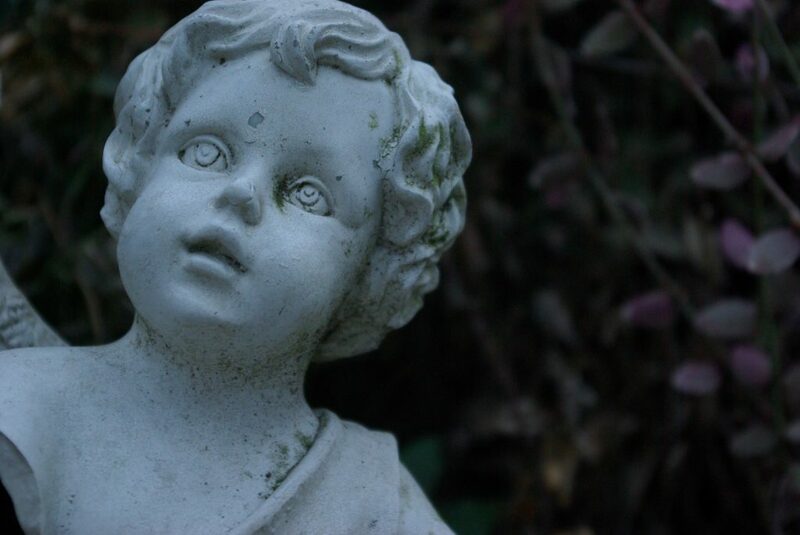 To be known, to be seen with eyes that are gently peering into our hearts is a grace we can gather continually. 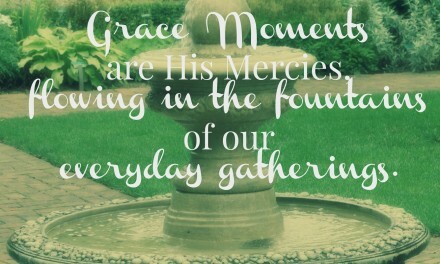 #Gracemoments pile up when we purpose to lean on love towards one another. As we choose to know each other’s hurt, to count the cost of bearing each other’s the pain, we get messy together. In prayer and service to one another we change our breaking moments and our heavy burdens because we choose to see and to know one another gently. We all long to be known and seen by someone. We all need to know we belong when we are broken and when we feel lost or confused. We all need a friend who is willing to get messy when our pain and our hurt overwhelm our journey. 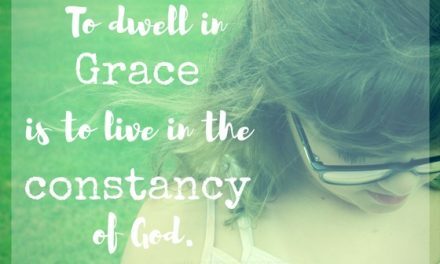 But it isn’t always easy to find that space or that grace in our busy and full world. 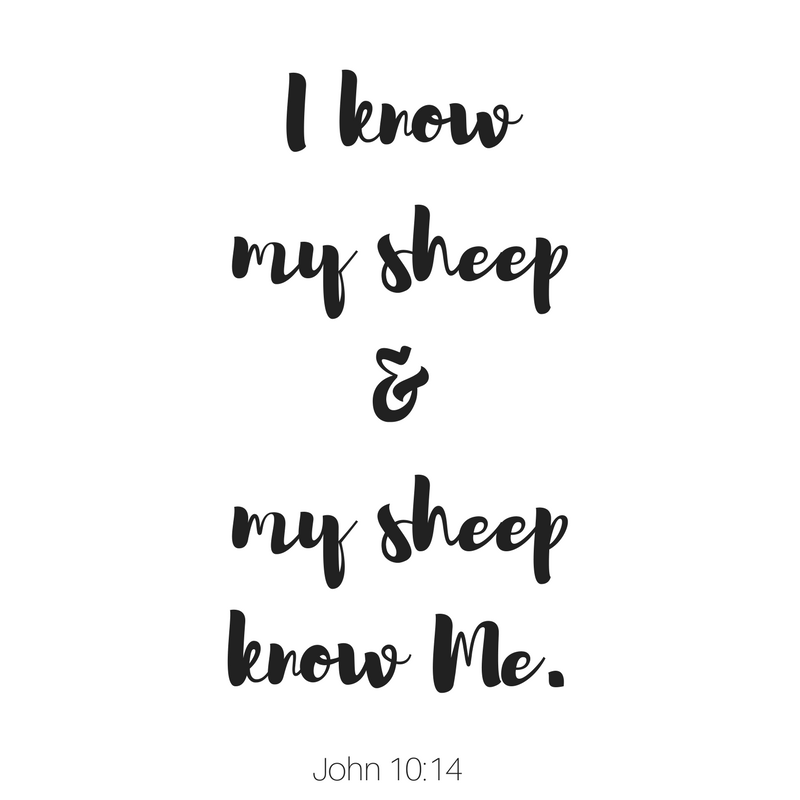 The thing is, we are known and seen and understood by the One who shepherds our hearts and gently corrals our wandering into a path that leads right to the Throne of Grace. We are drawn close so that we meet with mercy and kiss His righteousness, we are pulled up so that we are comforted to comfort, we are healed to hold out healing, we are loved to extend love, we are known to know Him more. This part of being known by God ALWAYS astounds me though… always. J.I. Packer wrote a gem of a book years ago called, Knowing God. I own a dog-eared, slightly marked copy that I pull down and look through often. He talks about the precondition of being known by God before we first understand the concept of knowing Him. I’ve been talking with my Tuesday People about the wonder of being known by God. The magnificence of it takes my breath away. He knows us in every place we find ourselves…especially the space we feel alone, misunderstood, rejected, sad, forgotten, and (you fill in this space). Yet, I am learning, as I meet Him faithfully each and every day, His heart is to teach us to both know Him and be known by Him… and especially to share that knowledge with those who need to be seen, heard, and understood. Those who have been aware of this exchange are the variables of His grace in the day to day needs that are present before us. We who longed to be known and found by I AM need to be willing to look beyond the walls and the bravado of the chipped and scarred in our path and look deep into the beauty that is waiting in the colors of their soul. To wait with them and to pray with them and to count grace together is a path to knowing them and to leading them to the One who knew them first. It is a part of the cost of our cross, I think… this priceless grace we can spend on one another. We are never meant to carry our cross without Christ, friends. He never leaves us alone and without help. Because He sees us as we are, as we were, as we ought to be…His Own. Yet, I am confident that He asks us to lift up the burdens of others as we step forward in our journey into the atmosphere surrounding those whose hearts are splayed before us. We have a purpose to plant hope and to resurrect life in the barren and the cracked places. 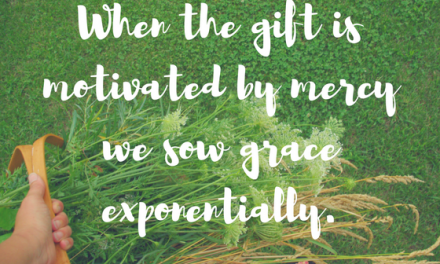 These are the seeds of grace we count when we put on Christ and walk in love together. Life’s difficult places can alter us and make our perspective shift. We see differently when reality meets us on the journey we walk and it makes it hard to find our way back to the familiar rhythm we knew. Our struggles and trials cost us. Our dying and our purging expends us of this world, but alters us for eternity. 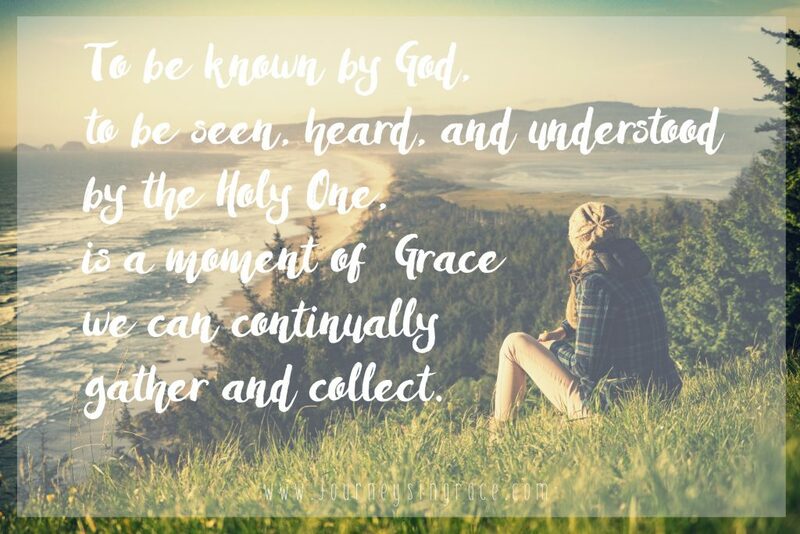 We are changed when we recognize the knowledge of the Holy One, we are encouraged when we are filtered by the power of being known, and we exercise the gospel when we look close enough to see the others like He does. When we make the effort to reach out and look well into the heart of His people, we come to know Him more. And there is no waste in our pain, because it is meant to bring someone else to hope , to mercy, to grace. It is meant to forge relationship and buy reconciliation in a circumstance where broken dreams are a deposit that only God can resurrect back to life. Mercy and love are always the fulcrum that bends each journey we take, the ones we walk alone and together, towards grace. As we are seen by God, He also leads us right into the spaces where we are seen by others. We are seen by those who speak the heart language that heals, who pour out words of prayer that bind, and serve up grace that lead us to see His handiwork. We recognize we are not alone. We are loved by the Shepherd of our heart and met close by the sheep of His pasture. Those who have met with His mercy and have been shaped by His love are certainly changed by eternal hope and altered by His loving-kindness. Wherever you find yourself today, wherever you are waiting and pausing in your journey, I pray the fulcrum of His love always bends you towards grace. May you be surrounded with prayer warriors and soul-seeing faith friends who come alongside and lift you up and lead you on. 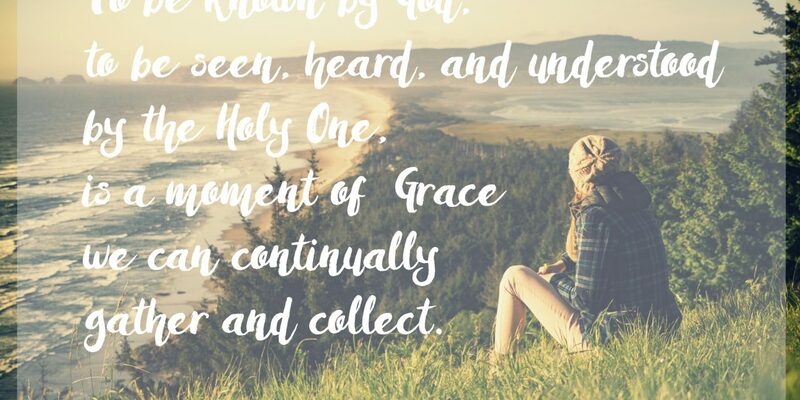 Be encouraged, dear one, count each #gracemoment as you begin to know the One who knows you fully. I marvel at the way He loves us, Michele. If we truly understood that, if we were able to grasp the depth of it… it will change us instantly. And its that change, the love quotient that makes us capable of seeing others as only He can. That is my heart prayer, to see others like He does. What a difference that makes, I think. So glad you are here! This is such an encouraging post, Dawn, and something I have been thinking on for over a week. To see and be seen. My heart’s desire is to see Him more and to see those He places in my life. One greatly impacts the other. I must see Him in order to see others as He does. I am grateful for this post! Dawn- I love this, “We all need a friend who is willing to get messy when our pain and our hurt overwhelm our journey. But it isn’t always easy to find that space or that grace in our busy and full world.” I yearn for this human friend. I know God is the only one who will fill my broken places, but I desire a friend to walk in this hard with me! “no moment when His eye is off me, or His attention distracted from me,” Wow! I’ve thought about how He can see everyone at once, but to think that in His seeing me and everyone else, He is not distracted by anything or anyone….whoa! That’s mind boggling! Dawn, thank you. I had something difficult happen yesterday and your words today have been God’s words of comfort and healing to my heart; and I am grateful. I have saved this into my journal as I need to read it over and over.